This entry was posted in bookmarks, Cards, Friendship Cards, Other Interactive Cards, Papercraft, Thinking of You Cards and tagged Barista, Cat card, Copic Coloring, Copic Markers, Copics, Frap, Frappuccino, Fraps, green tea, green tea frap, Interactive cards, Lil' Inker Designs Coffee Talk, Lil'Inker Designs Kitty Hugger, lilinkerdesigns, Mini Frap card, Pawsome, scor-tape, Sookwang, Thank You Cards by dannscraftingwhims. Bookmark the permalink. This kitty is so cute. 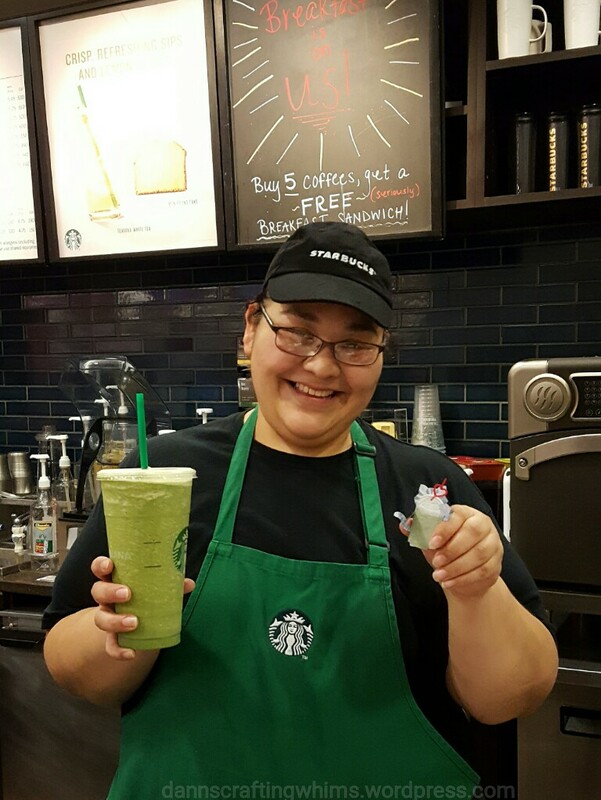 Well, I have to say….I’ve never had a green Starbucks drink. That’s what makes the world go round….different strokes for different folks. 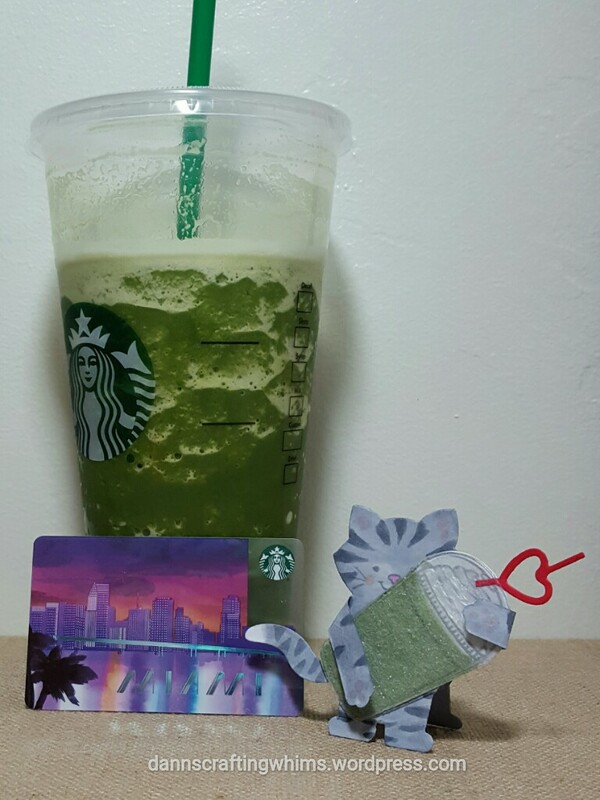 Or at least, different faves at Starbucks….LOL Thanks for sharing this super card! Very cute! Love that kitty! 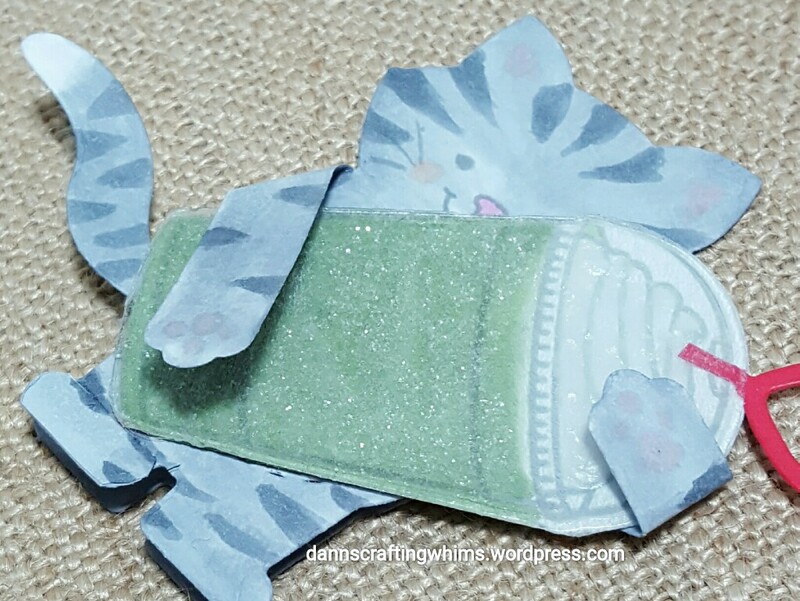 Oh my, how fun and cute! What a fun interactive card! 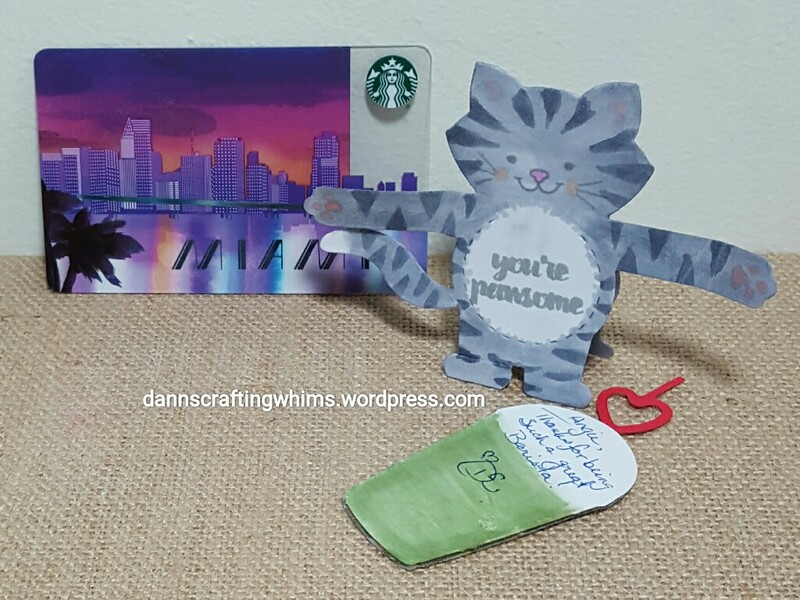 Cute little kitten – I’m sure your barista will love it! Thanks for linking up to Cropstop! Always nice to see your name appear in the gallery! Um yum to Green Tea fraps! 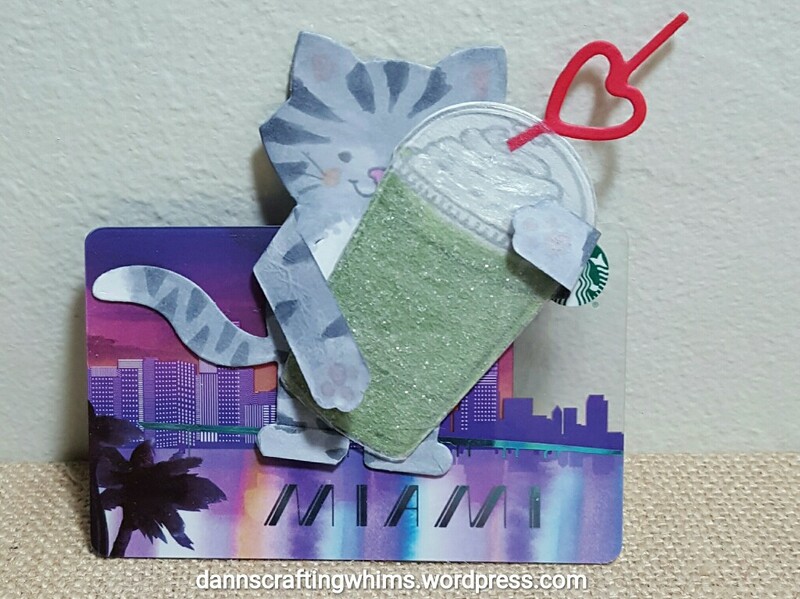 Your Kitty holding a frap is ADORABLE!!!! This card is the cutest thing and your barista will be so tickled! Of course, I love coffee AND I love cats, so this card gets an A+! 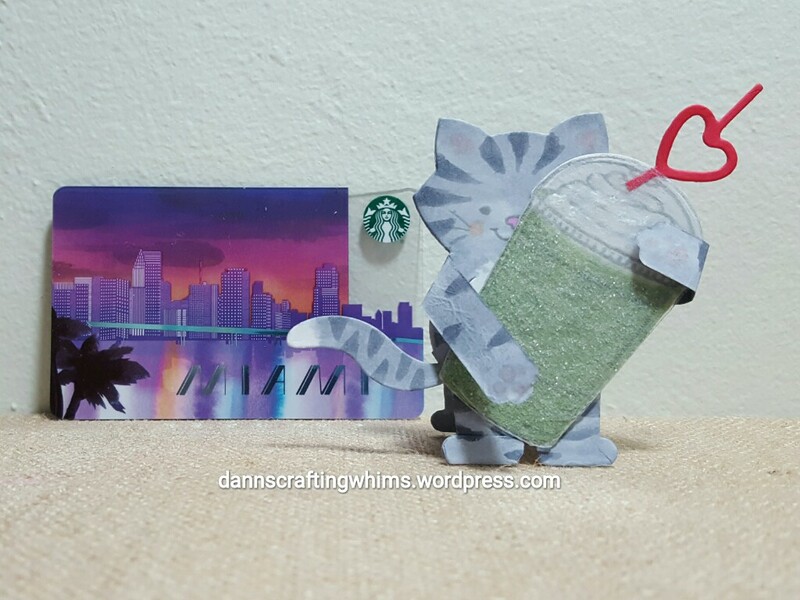 Love this cute kitty holding a big coffee cup! What an awesome little gift. So creative … and so sweet of you! So fun and cute. A wonderful gift!